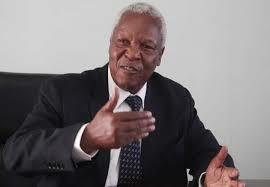 Government is aware of the constant and potential threats that face Zimbabwe and is making sure the country is ready to repel such attacks, Defence Minister Sydney Sekeramayi has said. Speaking to journalists in Harare yesterday ahead of the Defence Forces Day commemorations today, Minister Sekeramayi commended neighbouring countries, who rebuffed efforts by the British to attack Zimbabwe using their territories. The Zimbabwe Defence Forces Day main commemorations will be at the National Sports Stadium. “If you look at our country, historically, after a long and bitter liberation struggle, we became independent in 1980, there were remnants of the Rhodesian regime who were trying to destabilise us,” said Minister Sekeramayi. forces for the loss during the liberation struggle. “They will always try to undermine our independence,” he said. “So that potential threat is always there. As you know, the British government, under the then Prime Minister Tony Blair, were contemplating invading Zimbabwe. Minister Sekeramayi said although Zimbabwe was still feeling the effects of sanctions, Government would continue making sure that the country was food secure. harmony with their counterparts in the Zimbabwe Republic Police. He said investigations on what transpired when soldiers and the police were engaged in running battles recently in Harare were still underway. “I was asked the same question in Parliament and I did advise that once the joint team established, comprising members of the army and the police, once the team has finished investigations, the results and recommendations would be given to the public,” he said.